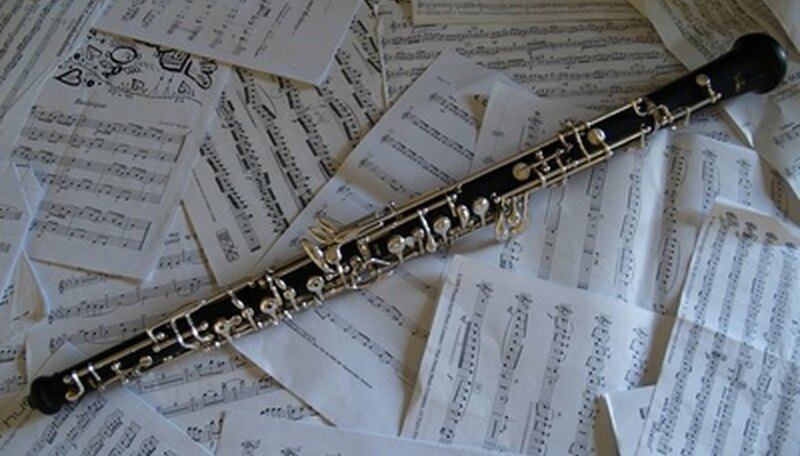 The oboe and English horn are similar yet still have their differences. Both are similarly shaped, but differ in length; and both use double reeds, but differ in sound. They truly distinguish themselves in the playing. The oboe is a concert-pitch instrument, playing a C when a C is noted in the music. The English horn, however, is a perfect fifth below that, meaning a C on the music would actually create a resonant pitch of a G the octave below. Transposing then comes in hand. Read the music as written for an oboe. Transpose by lifting each note seven half-steps. Think of half-steps as the black keys on a piano. Each white key is one note different from the next white key, while a black key is a half of said tone. Rewrite the music with the lifted pitches. Because the English horn produces sounds lower than those written, by writing the music higher, you will cancel out the lowering effect. Memorize the chromatic scales so you won't make mistakes transposing. No such note as a Cb (C flat) exists because the next step down is a whole step to a B. Follow the keys on a piano for help. Memorize the new pitches. After memorization, you should be able to transpose music as you play. What Instruments Use the Alto Clef? What Is Tone in Music?